Preeclampsia, also known as toxemia is a disease characterized by the gradual development of high blood pressure (over 140/90) that is often accompanied by protein excretion in the urine and excessive swelling of legs, hands, and face. It only occurs during the last half of pregnancy or in the first few days postpartum and always resolves within a few days to weeks after delivery of the baby. It may be mild or severe. The condition most commonly shows up after you’ve reached 37 weeks, but it can develop any time in the second half of pregnancy, as well as during labor or even after delivery. It’s also possible to get preeclampsia before 20 weeks, but only in rare cases, such as with a molar pregnancy. Preeclampsia can range from mild to severe, and it can progress slowly or rapidly. The only way to get better is to deliver your baby. Preeclampsia becomes eclampsia if a seizure that is related to the disease occurs. A severe form of preeclampsia is called HELLP syndrome. Maternal age under 20 and possibly maternal age over 35 to 40. The majority of women with mild preeclampsia have no symptoms. For this reason, prenatal visits to check your blood pressure and measure urinary protein are scheduled more frequently in the last half of pregnancy. But some women experience no symptoms at all. 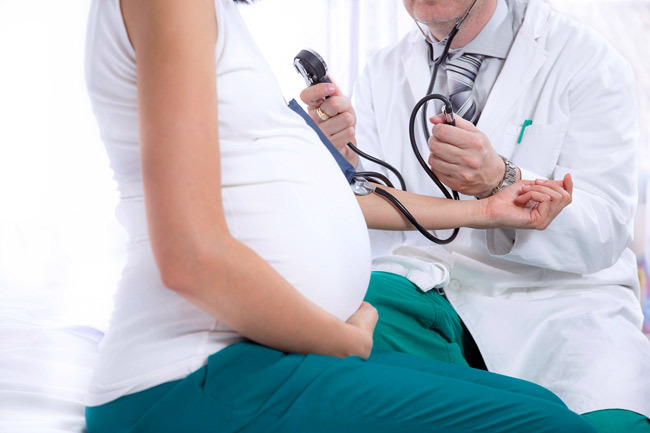 How is preeclampsia different from gestational hypertension? If you develop high blood pressure after 20 weeks of pregnancy but don’t have protein in your urine, you’re said to have gestational hypertension (also known as pregnancy-induced hypertension). If protein is later found in your urine, your diagnosis changes to preeclampsia. This happens to about a quarter of women who are initially diagnosed with gestational hypertension. Diagnostic criteria for preeclampsia include new onset of elevated blood pressure and proteinuria after 20 weeks of gestation. Blood pressure: 160 mm Hg or higher systolic or 110 mm Hg or higher diastolic on two occasions at least six hours apart in a woman on bed rest. Proteinuria: 5 g or more of protein in a 24-hour urine collection or 3+ or greater on urine dipstick testing of two random urine samples collected at least four hours apart. A baseline sonograph should be considered at 25 to 28 weeks of gestation to evaluate fetal growth in pregnant women at high risk for preeclampsia. There is no cure for preeclampsia except for delivery of the baby. 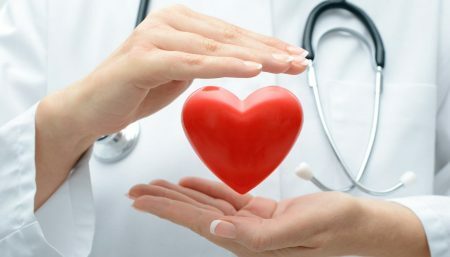 Restricting your activity and taking antihypertensive medication can lower your blood pressure, thereby reducing the risk of stroke, but will not affect the arterial constriction or the course of the disease for you or your baby. When possible, vaginal delivery is preferable to avoid the added physiologic stressors of cesarean delivery. If cesarean delivery must be used, regional anesthesia is preferred because it carries less maternal risk. In the presence of coagulopathy, use of regional anesthesia generally is contraindicated. During labor, the management goals are to prevent seizures and control hypertension. Magnesium sulfate is the medication of choice for the prevention of eclamptic seizures in women with severe preeclampsia and for the treatment of women with eclamptic seizures. One commonly used regimen is a 6-g loading dose of magnesium sulfate followed by a continuous infusion at a rate of 2 g per hour. Magnesium sulfate has been shown to be superior to phenytoin (Dilantin) and diazepam (Valium) for the treatment of eclamptic seizures. Although magnesium sulfate commonly is used in women with preeclampsia, studies to date have been inadequate to show that it prevents progression of the disorder. Maternal monitoring consists of frequent blood pressure measurements and blood and urine tests to check liver and kidney function, platelet count, and for red blood cell destruction (hemolysis). 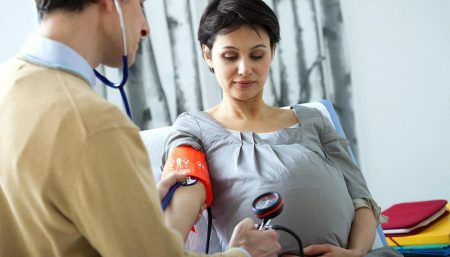 You should immediately call you doctor if you develop any of the signs or symptoms of severe preeclampsia mentioned above, as well as decreased fetal activity, vaginal bleeding, or uterine pain. The old “rest, diet and fluid” routine is also worth a try. Rest on your left side for 30 minutes several times a day to help renal blood flow. Avoid any constrictive postures or clothing and keep up an exercise routine, perhaps walking 30 minutes a day. 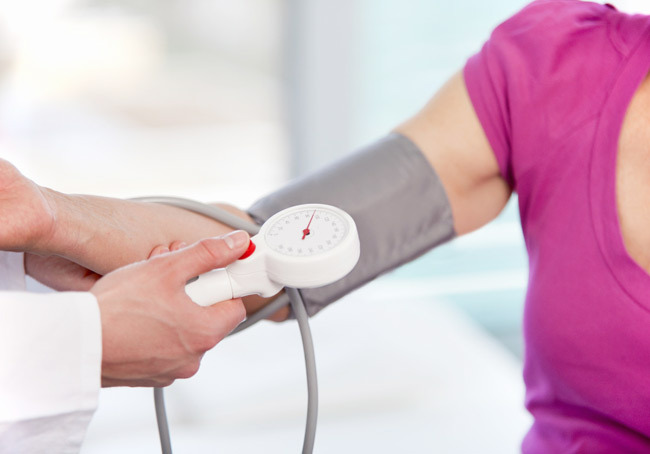 Some contributing factors to high blood pressure can be controlled and some can’t. 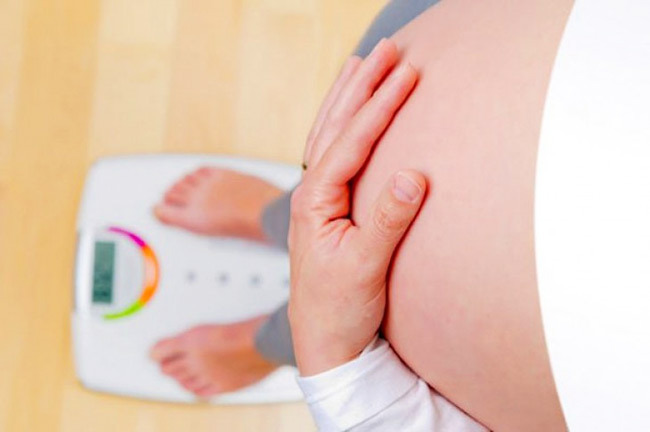 Maintain a normal weight before pregnancy. Avoid excessive pregnancy weight gain. Consume adequate sources of calcium. Don’t eat a lot of fried foods and junk food. Some studies indicate that poorly nourished women develop pre-eclampsia more often. Studies of calcium supplementation for preventing pre-eclampsia have had mixed results with some recent studies showing no effect. A recent study showed that supplemental vitamin C and vitamin E may reduce pre-eclampsia in high risk women. The authors caution that it is too soon to recommend supplementation. 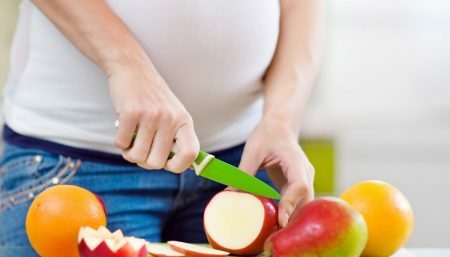 Pregnant women should make sure their diet is adequate in food sources of these vitamins and take only the supplements prescribed by their prenatal care provider. Strength training for pregnant women.